Set intake dates. Enquire now! Turn your bachelor's degree into a rewarding career in education with this Master of Teaching (Secondary) course from Edith Cowan University. You'll learn exactly what it takes to handle a high school classroom with confidence. The course will help you connect theory to practice in real classroom settings that prepare you for the realities of the job. You'll leave the course with a deep understanding of how to succeed as a secondary teacher. The course offers options across a diverse range of subject areas. You'll develop a major and a minor specialisation in subjects that you're passionate about, building on the knowledge you gained from your previous studies. The professional experience gained in a real secondary education setting is central to the course, giving you experience in the classroom while you're learning. This course has a professional practice component that requires students to make a full time commitment to their participating school while the practicum is completed. Students must select two of areas of specialisations, one being a major study and the other a minor study. You should choose your major and minor areas of study based on your previous undergraduate studies. 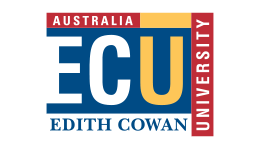 Since opening in 1991, Edith Cowan University (ECU) has established itself as the go-to Australian university for a quality learning experience. Students graduate among some of the best in the world and have continued to serve society in many important roles. ECU produces winners because they are a winner! In 2018 Times Higher Education ranked ECU in the world’s top 150 universities under 50 years old, and the Good Universities Guide has given them a 5-star rating for teaching quality 12 years straight. From social work, youth work, nutrition, engineering, technology, management and more, ECU offer a host of undergraduate and postgraduate courses that’ll excel your career and expose you to new levels of success. Enquire today and see where an ECU qualification can lead you! Students feel happy, well supported and well educated when they study with ECU, in fact, in the 2018 QILT survey, Edith Cowan University received the highest student experience rating of all Australian public universities. When you study with ECU, you’ll have access to expert course advice, counselling, diversity and disability services, transnational and national program support, student success programs, careers and employability services... just to name a few. Upon successful completion of this course you will receive a Master of Teaching (Secondary) from Edith Cowan University. The course builds on your previous studies, taking your bachelor's degree as a starting point for your specialisation. You can pursue a career in secondary education in subjects that align to your own areas of interest and knowledge, sharing your passion with the next generation of young people. Graduates of this course are eligible to register with the Teacher Registration Board of Western Australia (TRBWA). Registration is required to practice in the profession in the private and government sector. Wondering where a career in teaching could take you? Potential job outcomes may include; Primary School Teacher, Secondary School Teacher, Special Education Teacher, Early Childhood Teacher, Tutor, Education Administrator, Policy Developer, Vocational Education Teacher, University Lecturer. Eligible students can apply for a FEE-HELP loan to cover the upfront costs of all or part of your fees. Edith Cowan University also offers student loans and scholarship opportunities to eligible applicants. Fill out this form and a Study Consultant from Edith Cowan University	will get back to you.